When you want to explore an idea, take a break, or change direction in life – do you ask others for permission? Are you someone who will consider options and make a decision based on your values and resources, or do you tend to set aside your own priorities and sacrifice your health, sanity, or integrity to please others? A broad definition of ‘permission’ is consent, authorization, an ‘ok’ – basically, approval from others. Permission can be appropriate and useful in many circumstances; however, a pattern of repeated sacrifices to one’s health and well-being can be harmful, including when practiced as self-loathing. Habits of trying to ‘keep up with the Joneses', feed someone else’s ego, or serve someone else’s values damage one’s mental, emotional, spiritual, and physical well-being. Take time to really evaluate your core values. Pay attention to (and maybe change) the language you use with yourself. 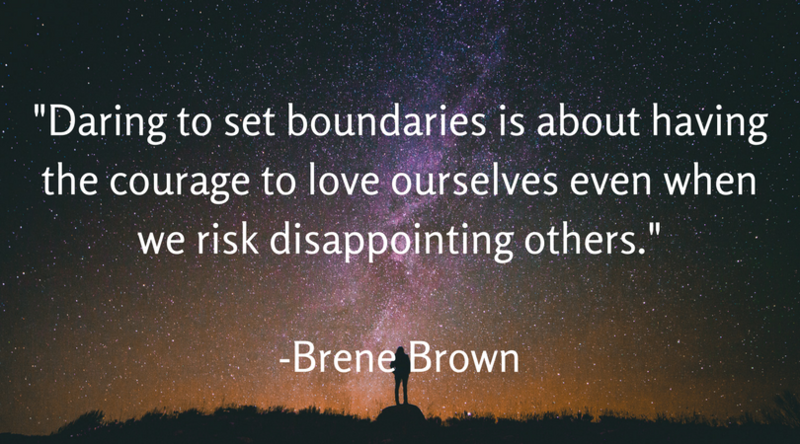 Learn more about setting healthy boundaries: Talk to a qualified coach or counselor. Remember to consider the context in which you and others behave – we all have a story. Are you a human? Human’s make mistakes. Humans change their minds. Consider the Higher Principles of Gratitude, Acceptance, Compassion, Meaning, and Forgiveness. The tough stuff can also be the most meaningful, the most healing. These practices include setting and keeping boundaries; showing compassion for self and others; and adapting to circumstances while maintaining integrity. I “dare” you to give yourself permission: to take an extra moment of quiet time, to step away from your work station for lunch, to read a book simply for fun. Best wishes!